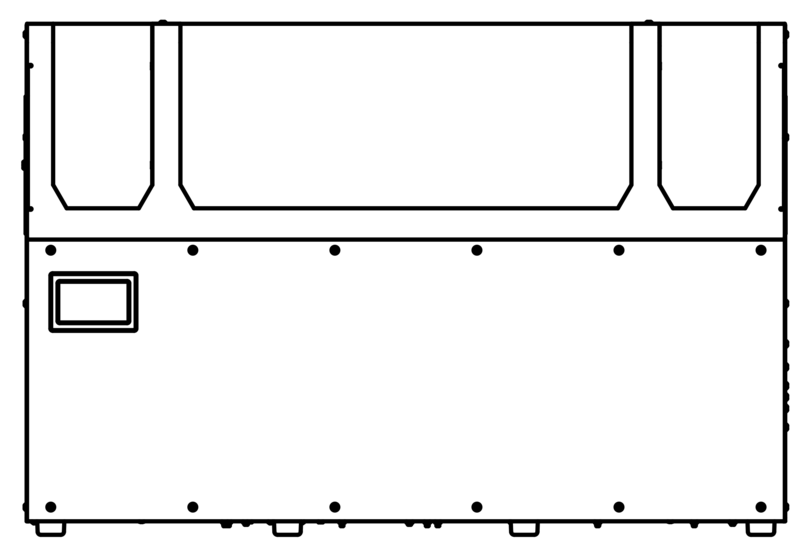 Once a part is configured and saved in Eiger, the part can be added to a build. 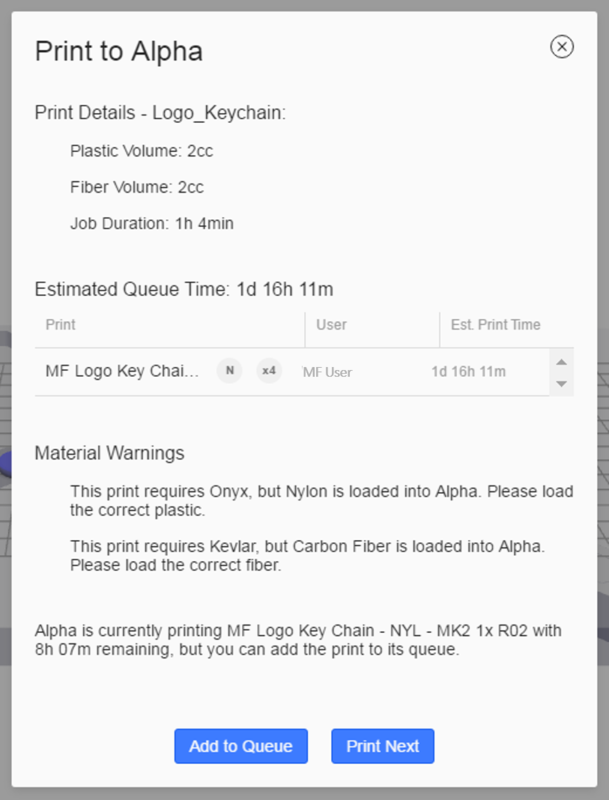 Builds are used to generate the .MFP file that your printer is able to print. Builds can consist of one or multiple parts, as long as all parts have the same layer height. Import a new part or open a part from you Eiger Library. Configure the part as needed and press Save. Select Print to open the Build view. Select Export Build to create an .mfp file and save it to your computer's hard drive. Select the Builds tab at the top of the Library page. Click on the build you want to open. There are several options that can be edited when working with a build. Create a new build or open one from your Eiger Library. 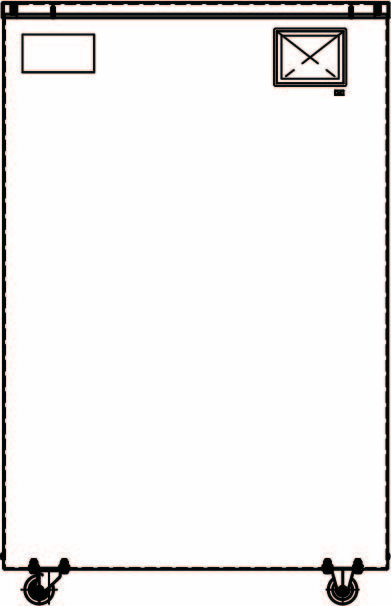 Press the Add Part button in the Printing Settings menu on the right side of the screen. 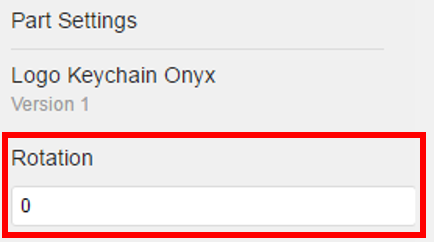 Select the part to add from the list that pops up. Note: Add multiple of the same part by selecting it repeatedly from the list of parts. 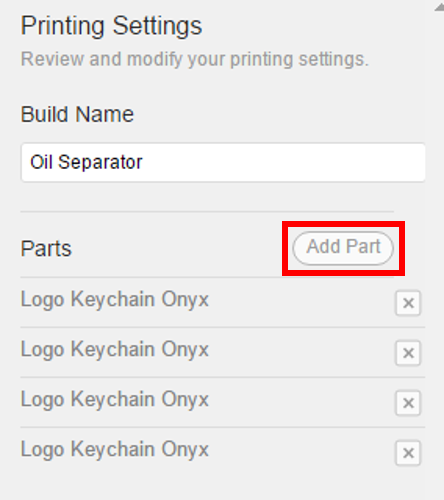 Click and drag parts to manually place them in a different place on the print bed. 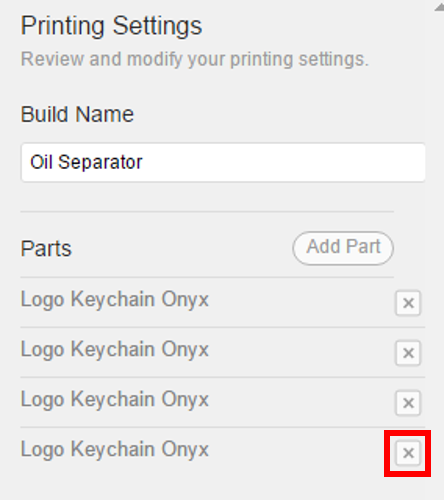 Select a part and change value in the Rotation field in the Printing Settings panel to change the angle of the part about the Z-axis. Click the X button to remove a part from a build. 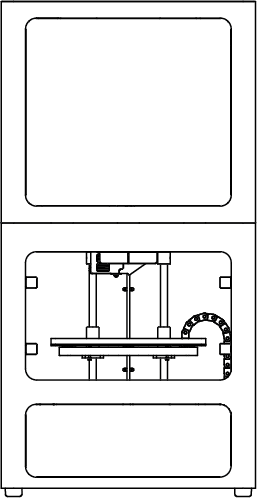 Once a build is properly configured, it can be directly printed to an online, available printer or added to the queue for an online, busy printer. It can also be saved or exported. Saved builds can be accessed and edited at a later time. Exported builds can be printed on a printer via USB. 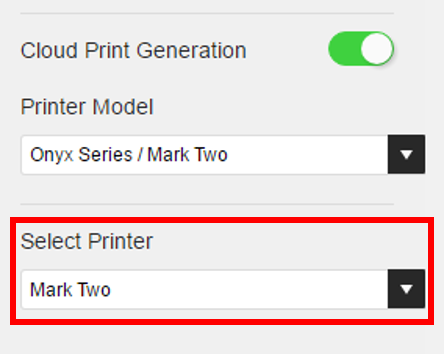 Ensure your build is correctly configured for printing. Ensure that you have at least two parts added to your build. Note: If your build only has one part, you will not be able to save it. Configure the parts as needed. Press the Save Build button. Select Export Build from the Select Printer drop-down. Press the Export Build button. Note: The Print button will change to the Export Build button once Export Build is selected from the printer drop-down. Pressing this button will generate and automatically download the .MFP file for the build to your computer.